A must for orchestral ignoramuses everywhere. Makes tackling an orchestra much easier; fun and useful mood-based patches; great value for money. If there's one criticism that could be levelled at Garritan's amazing range of orchestral ROMplers, it's that they can be tricky for non-arrangers to use. 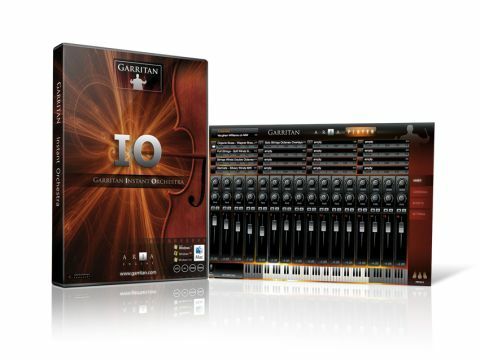 Instant Orchestra (which runs standalone or as a plug-in) aims to provide an easier option by presenting the orchestra as a whole and in its various complete sections (rather than as solo instruments and sub-sections), as well as categorising its combo patches as 'moods'. So, we have such delights as Discovering Avalon, Ghost Ship and Instant Cartoon, all sounding just like their names imply. Each patch comprises up to 16 mixable layers, triggered on separate MIDI channels. You can also dig into the underlying library of layers to make your own patches. As well as mood-based patches, numerous special effects are included (glissandi, harmonics, clusters, etc) along with an effective array of Blending Textures - sets of two or three layers that can be balanced and crossfaded via MIDI CC. All the production work has been done for you, and Instant Orchestra sounds terrific - very Hollywood, and decidedly Garritan. The Aria sample playback engine is sufficiently editable (ADSR envelope, filters, EQ, reverb) that you can radically transform the sounds should you wish. Most of the parameters are MIDI controllable, and Garritan's GPO Expression mode sets MIDI velocity to control the attack of sustained sounds rather than the volume (which is controlled by the modwheel). This is a more performance-orientated alternative to standard GM operation. Instant Orchestra is absurdly easy to use and sounds a lot more expensive than it is. You still need a little understanding of the ways in which orchestral sections should fit together, but aside from layering ready-made recordings on audio tracks, it simply doesn't get any easier than this.